KUALA LUMPUR, 5 JULY 2018 – Canon Marketing (Malaysia) Sdn. Bhd. 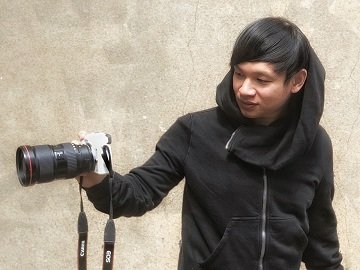 has announced six highly acclaimed Malaysian photographers as the brand’s EOS Ambassadors. The new ambassadors are renowned wedding photographers Andrew Koh and Johnson Wee; award-winning photojournalist Glenn Guan; multi-talented and adventure seeker Bonnie Yap; former Canon PhotoMarathon winner and wedding photographer Asmady Ahmad; and Sabah-based conceptual photography expert, Mohd. Hamdan Ruhimin @ Adam R. Adzim. The EOS ambassador program is part of Canon’s initiative in enriching the photography community in Malaysia. As advocates of the brand, the ambassadors will work with Canon to further cultivate the interest in photography among enthusiasts and professionals alike while contributing in developing local talent. According to Andrew Koh, President and Chief Executive Officer of Canon Marketing Malaysia, the EOS ambassadors will be instrumental in supporting Canon’s aim to inspire enthusiasts through showcasing their passion, creativity and experience. “The EOS Ambassadors were selected based on their unique photography journeys that have made a mark in the industry. In line with providing excellent digital imaging products at Canon, we believe that it is vital to develop talent and provide access for hobbyist and professionals to knowledge that will elevate their skills. 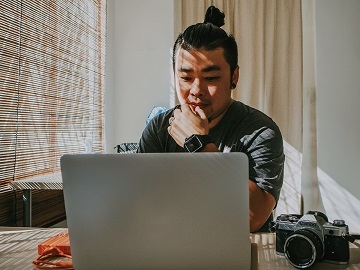 We look forward to working alongside our talented EOS Ambassadors in encouraging enthusiasts to explore their creativity and pursue their passion in photography,” he said. The EOS Ambassadors will represent the brand at various events and workshops where they will share their vast experience and knowledge on photography equipment and photography techniques and skills. One of Canon’s objectives is to give an opportunity to others to learn from the experience of these highly accomplished individuals on how they honed their skills, expanded their creative horizons and built their careers. 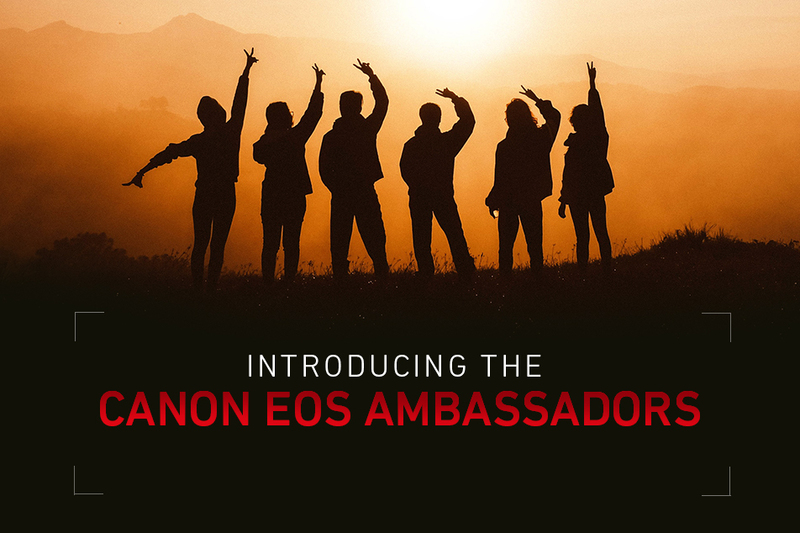 Canon will also lend support to initiatives by the EOS Ambassadors as part of their engagement. In addition to the EOS Ambassadors, Canon also launched its inaugural Canon EOS Youth Ambassador programme last year, to encourage photography amongst Malaysian youth and inspire them to tell stories through their lenses. The programme shortlisted 26 young Malaysian participants who have the opportunity to participate in Canon professional photography workshops, photography events and local campaigns organised by the brand. They will also get the priceless experience of an apprenticeship under the Canon EOS Ambassadors and EOS Youth Ambassador trainers. Beyond the ambassadors, Canon has established the Canon Imaging Academy which provides opportunities through workshops for those who wish to explore the world of photography further and meet-ups with like-minded photography enthusiasts. The workshops are open to photographers of all levels from beginner to advanced. For professional photographers who use Canon cameras and equipment, the Canon Professional Services, an exclusive membership service, offers on-site imaging support at high-profile events such as international sporting events. 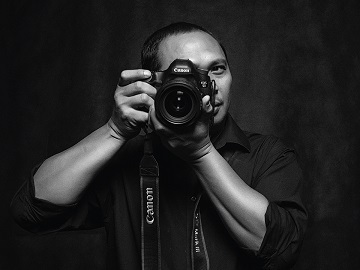 Andrew Koh, a renowned wedding photographer who honed his skills using classic Canon DSLR, is an official member of WPPI and an official trainer for Canon Imaging Academy Malaysia. He is the co-founder of Andrew Koh Photography Studio and an official trainer for Canon Imaging Academy Malaysia. Andrew loves capturing people’s candid facial expressions in a natural setting that truly reflects their emotions. 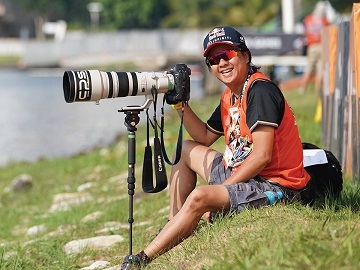 Bonnie Yap is an adventurous photographer who started her career back in 1990. 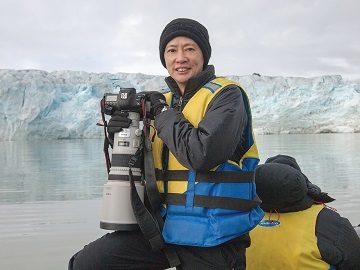 Her 12-year stint with The Star enabled her to broaden her photography portfolio and gain valuable experience. One of the most sought-after professionals around, she is best known for her indoor studio food shoots to entertainment, travel and fashion photography. The versatile photographer has also made a foray into video production. Glenn Guan is a self-made lensman who considers photography his life. 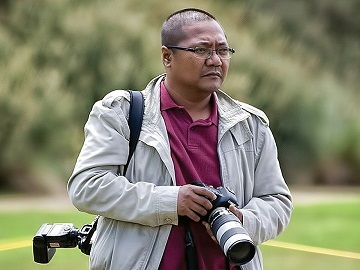 The award-winning photojournalist has won multiple awards and is well-known for his vast experience in covering local and international news, especially sporting events. As the Assistant Chief Photographer at The Star, Glenn’s work has been featured numerous times on the front page of Malaysia’s largest English daily. Johnson Wee, wedding photographer extraordinaire, is highly recognized for his outstanding body of work and has received over 300 international awards including the prestigious 2015 MPA Overseas Master Photographer of the Year. He is also a Fellow of the Master Photographers Association (UK), veteran judge of the WPPI and MPA competitions and conducts workshops and seminars around the globe. Mohd. Hamdan Ruhimin @ Adam R. Adzim is a Sabah-based photographer specialised in conceptual art photoshoots, while dabbling in fashion, wedding and portraiture photography. He is the co-founder of Level Four Studio and proudly owns his own photo studio, Primetime Pictures.